BrendanFetters.com – Page 2 – Third generation educator. Life long learner. Public education advocate. As I twirl through Twitter and see tweets from educators, hear district leaders across the nation speak in person or on video, blog posts, articles or even books we hear a lot about curriculum. We hear a lot about content. We hear a lot about data. Relationships have become a significant buzz word in our profession in the last 2-3 years especially. However, everyone in our profession or outside of it can always, even if they’re 50 years removed from their K-12 experience can remember a few teachers and/or school leaders who made a significant impact on their life. Someone who believed in them through thick and thin. Someone who didn’t give up on them when doing just that would have been much easier. Someone who forged a solid, genuine relationship. As educators we have a responsibility no matter our role to get to know each of the students we serve. In the hallways, in the cafeteria doing classroom visits. Getting to know students’ academic strengths, weaknesses but also their likes outside of school. Allowing students to see us as humans. Not most of the students we serve, all. Yes, including those kids. Education isn’t about teaching the ones coming to school eager to learn but in also generating interest in those that often might be labeled as “unreachable” or a “challenge” possibly even a “lost cause.” This is unacceptable but unfortunately some in profession are guilty of this. Stop. Pause. Embrace the uncomfortable. You know I’m right about the above. Step out of your bubble if you think otherwise for a minute. We must must ensure that we are reaching all students not almost all or most but all. Once we have them all and truly have them then and only then can we truly tackle content, curriculum and plow through but its still so uber important that we continue the relationship piece ongoing. When I was a classroom teacher I spent the first two weeks of school doing next to no academics. Did this put me “behind” some? Yes. However I knew I had to and I mean had to set my foundation. By the end of the two weeks my students would move mountains for me. In turn we moved mountains together and the students’ academic results spoke for themselves. My principals were amazed at how well so many of the students did some were those kids. The ones the previous teacher(s) would say “oooooh I’m so sorry Mr. Fetters…” when class lists were distributed. Ironically many of those kids are some of the students I made the biggest impact on in my career and reinforced the most how much I love this profession. Visiting a child at a game on a Saturday afternoon can truly turn a student’s world around for the positive. Believe me, I’ve seen it and lived it. Fast forward to now as a school leader. Every student has a story. It is paramount we get to know the students we serve far beyond the surface level. Chats at lunch are a time for me to get to know the students on the grade level I support. During observations whether informal or formal, seeing the students in the classroom asking questions about their learning I often learn as much from them. In the hallways, at sporting events, plays, performances, reaching out to parents for balancing phone calls for positive reasons, always offering support in any capacity, the list goes on. When you tell a student you believe in them, mean it. The students we all serve can tell when we’re authentic or superficial in a nanosecond. We life in a superficial world all too often as I’ve posted about in the past. We need to be authentic and ongoing in our relationships with students, their families. Everyone has a story. Yes, even those kids. Get to know their stories, all of them. You’ll be surprised what you find and you’ll be surprised in the content you can cover by not just plowing through right out of the gate. The “unreachable” can be reached – if you make a valiant and authentic ongoing effort. This concept isn’t new. My career high school English teacher mother told me often throughout my undergraduate career at Wilmington College going into my first few years in education the “challenging” students will be your favorite. “Listen to them fully, believe in them and guide them.” She was so right. As a classroom teacher and school leader this is so very applicable daily. Content, curriculum and knowledge are all powerful but you must have your solid foundation first. Do you in your classroom? How do you root the faculty you lead in truly seeing the value of this? Are the right people on your bus? Deep thoughts rooted in a rock solid foundation of solid, genuine relationships. They take time to build up and foster but are always, always worth it. After all, #KidsDeserveIt, right? Proud to be on the #TeamKidsFirst faculty where we foster this overarching mindset daily. Follow the hashtag to see our work in action. As I do every Sunday morning, earlier today I tweeted my weekly #SundayInspiration quote/saying. As a scrolled through the many graphics saved in my phone to use this week I stumbled upon one by one of my top educational heroes, Angela Maiers. I’ve blogged about the impact Angela has had on my life and career along with the significant contributions she’s made directly to me in the past as well as ongoing. Today’s quote was a simple and powerful “Maiersism”…. As I tweeted it out, I didn’t give it much thought. Simply put my phone down and went on with my day. As the day went on I received more feedback on it. Texts, direct messages, far beyond just the usual likes and retweets. This quote connected with so many folks of all walks – far beyond educators only. My dear friend and administrative mentor Chas Miller even went as far as to utilize this tweet as one of the foundation points for his latest blog post today. Think about it. How many times have we uttered the word tomorrow and whatever it was either didn’t get accomplished fully, or even at all. I’ll call that parent tomorrow to brag on the amazing work their child is doing in class. I’ll take time read an article, book or magazine that will help me as an educator — tomorrow. Tomorrow I’m going to lay the foundation for courageous conversations within our grade level team. These are a small sampling of powerful events in education. However, the word tomorrow holds each of them back. Whenever in life or career when we put off for tomorrow what should be done today, it very rarely maintains the power as in the moment. The urge to put things off is often very strong, and such is the case for me. However, we as educators and frankly, humans must fight that urge to do what is best for our profession, student, colleagues, etc. And let the waters slip away. ‘Til what we put off ’til tomorrow has now become today” truly has such power and relates to this post significantly. You have an agenda, a plan. Do you tackle it now, at least lay the foundation or do you put it off until tomorrow. The choice is yours. The ball is in your court. 2017-18 is one quarter in. What a busy school year it has been. New initiatives, courses, faculty members, the list goes on. Oh, and I’m in a new position this school year. Lots of new – but I’m embracing them all. Longtime followers of my blog and close friends of mine know my maternal grandfather had and continues to have great influence on my life both personally and professionally. One of the things he said repeatedly in our 17 years together on this earth was the importance of adding value to others. In turn, others should always add value back to you, my grandfather would always say. Each day when I wake up I have determination. Determination to do my best, grow in some capacity whether as a leader, learner or educator. Ideally all three. I also am determined to make a positive impact in at least one person’s life. A colleague at school or the district level, a student, an employee at your local Target or at the mall. Positivity goes a long way and adding value goes hand in hand. Normally, this can be achieved not once but several times a day. By the same token, we should always be cautious when choosing friends. Quality over quantity. 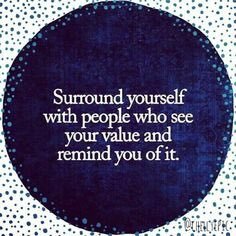 Adding value should be a cornerstone of friendship. If this isn’t the case – cut the cord. Nonnegotiable. Adding and receiving value should be an ongoing process. Learning and growing daily. Make it a great day or not daily – the choice is yours. A year ago, my friend and a strong, innovative principal in our school district, Dr. Sandy Chambers invited me to her school for an intense, thought provoking, immersion training with district peers. I had heard so much about the Racial Equity Institute and their training sessions from Sandy and another district friend, Mr. Michael Parker West for many months. Now I was engaged in the process. Life changing professional development. Courageous conversations, learning and growing with mostly educators but a handful of folks from other professions as well. I was hooked immediately. I wanted to learn more, grow more with this work. How could I get more educators to become aware and not remaining complacent in “not knowing what they don’t know?” Embracing the uncomfortable as so often have said in the past year or so is powerful, yet so many in my profession and beyond shy away, why? How can we get more educators and beyond to embrace the uncomfortable, to build capacity within this powerful and such meaningful work? In conjunction with my education policy work and through REI circles within our district and beyond I started to connect with other educators to learn and grow more. To encourage other educators to understand, grow, and build capacity and interest within others. I give major props to the above mentioned Michael and Sandy but also Ms. Erica Everett and Mr. Jeff Bugajski for further driving my understanding through sharing articles, viewing opportunties ongoing, inviting me to events, etc. Additionally, in the policy world, NC Rep. Graig Meyer, Wake County (NC) Commissioner Jessica Holmes and the Public School Forum of NC’s Mr. James Ford have all pushed me significantly with my understanding of equity and sparked courageous conversations through providing deeper learning opportunities with such. After attending Racial Equity Institute (REI) trainings as both an attendee initially then as alumni to gain deeper perspective, I wanted to bring this work to key stakeholders at Carroll Middle School. I made an initial pitch to Mrs. MacWilliams over lunch with assistance from Michael and Sandy last spring. She was all in. We were going to have faculty from CMMS engaged in this meaningful work in the near future. Fast forward to today, Saturday, September 23, 2017. I’m in the back of the REI circle at Brier Creek Elementary in Raleigh, NC — the “alumni area.” I’m so proud seeing my so many of my colleagues from Carroll Middle (along with district peers at Brier Creek Elementary and Horton’s Creek Elementary) voluntarily involved in this meaningful, deep work on a Saturday (and Sunday too) for the betterment of the students we all serve, our own craft and as a society overall. I’m beyond stoked to see where this work goes from here has the capacity is being built to take off both at Carroll Middle with our #TeamKidsFirst faculty here today (and tomorrow) as a result of this training and the engaging conversations occurring. Proud day as an educator but this work is only getting started. #EquityMatters. Embrace the uncomfortable. As the 2017-18 school year opens for students in our district in the very near future (August 28 for our traditional calendar schools) what better time to reflect on personal growth and gauge a self temperature check? On December 30, 2016 I blogged about my #OneWord2017. At the time of the post I was an elementary curriculum coach spinning my wheels going through daily grind of 11.5 years in public education all at the elementary level in a variety of capacities. I had learned, grown and evolved as an educator, professionally and personally so much over the years but overall the next — was truly unwritten. Natasha Bedingfield’s lyrics to the song with the same name rang so true…. 2017 came in with many changes. My beloved principal at my elementary school had just left to open a brand new school in our district. I was loving what I was doing but deep down needed a change. That opportunity came when I least expected it and in March I made a difficult decision to leave the elementary world and so many amazing educators behind leaping to the middle school world as a curriculum coach when an perfect situation came my way. A complete fish out of water feeling for several days, even weeks literally a sink or swim situation. I embraced it and kept it moving – I’m at home with the best yet to come. We hear a lot of talk about risk, leaps of faith and #failforward moments. This experience has embraced all of the above and then some. I was taking another step toward writing the unwritten for 2017 in a significant way. In between transferring from the elementary to the middle school world I was blessed with presenting and co-presenting in three sessions at the 2017 NCties (ISTE-affiliate) conference in Raleigh. Powerful experience being on the presenter end of this amazing conference. As the months rolled on in my new role I continued to learn, grow and become more comfortable in the secondary setting. Growing capacity in myself and others. Rolling out the red carpet – authentic student led learning in action! Adding into the mix co-organizing a highly successful the spring edition of #EdCampWake was another growth opportunity where risk was taken and the reward was high. With the hustle and bustle of the 2016-17 school year now in the rear view mirror I find myself with time to catch up, take a breather and relax briefly prior to 2017-18 ramping up in full force in a matter of weeks. Time increases rapidly – and certainly never seems to slow down. I just completed my 12th year in public education. From my humble beginnings as a first year teacher in small town Ohio to relocating very early in my career to the great unknown of the Triangle region of North Carolina, to obtaining my graduate degree in school administration and taking on leadership roles within the school I’ve always been invested heavily in relationships. Student to student, staff to staff, school community stakeholders, the list goes on. They’re genuine and ongoing as I’ve referred to in previous posts, its vital we are sincere as all those we serve, especially the kids, can spot a phony in an instant. Words and sincerity matter. Period. This has always been my hallmark. Long before “relationships” became a buzzword in our profession. Long before my connections and eventual school partnership with Angela Maiers and Choose2Matter. Certainly before I met Mike Erwin and became involved with the Positivity Project beginning this past school year. At times we lose focus of how much our words matter. The students we all serve listen and hang on every word we say. As a younger 3rd grade teacher back in 2007-2008 I began branching out beyond the walls of my classroom. It was my third year teaching and I wanted to begin taking a bigger role. Looking back it was one of my first risks as a young, wide-eyed educator. I took time to get to know other students on the grade level outside of my classroom, their parents, getting to know them beyond student A, student B, etc. Having check-ins at lunch, or on the playground. The mentality shift from my students to our students had begun for me officially. A month ago, that “wave” of third graders from my first elementary in Raleigh graduated from high school. In the months leading up to the big day I was amazed how many of these former third grade parents & students began reaching out to me via social media, phone, work email, etc. to ask for my address. They almost all had the same sort of blanket message “Mr. Fetters you made such a big impact on me/my child a decade ago we’d love for you to attend my/their high school graduation.” All told I received 10 invitations this year. Some were students I had in class, several were those I never taught but got to know through weekly check-ins. They were our third graders – clearly I made an impact. I was able to attend a high school graduation this year that the bulk of students from my original WCPSS elementary school attended. Most of the students that invited me were there. It was amazing to see so many of them, hear of their accomplishments, aspirations, while also making me feel quite old in the process. I was able to attend one graduation party that day, a girl who I didn’t have as one of my students, but of course she was ours. Her mother reached out to me repeatedly and really wanted me to come to their house afterwards so I did. This young lady is incredible. Her exact words to me were “you always said you believed in me when I was in third grade – not a lot of people did but I knew you meant it. I wanted to prove you right.” I was taken back. Do words matter? Absolutely. Sincerity? Absolutely. This young lady has gone to places many never thought she would go. She’s going to move mountains. Just a small sliver of the impact we can and often do make on a daily basis within the profession regardless of our capacity. These students have inspired me as much as I inspired them years ago. So powerful. Such an opportunity for rich reflection. Its easy to get caught up in the moment as educators. We all have tough days and the work we do is challenging. It truly takes a village. We all have a lot going on in our personal lives, career, homes, etc. but its essential we keep doing right by kids as the pinnacle of every decision we make as an educator. That should always be a nonnegotiable. For months I anticipated attending my first ISTE Conference. Several days of learning at the annual massive educational tech conference were around the corner and I was so excited. Having attended and presented at ISTE-affliated NCties Conference several times I had an idea about ISTE but also knew NCties was a fraction of the size of ISTE. In the weeks ahead of ISTE my colleagues and I that would be attending the conference together met with magnet office representatives to plan out our days at the conference in San Antonio and go through a Google Plus community set up to share and learn from one another as a would “divide and conquer” as best as possible in an effort to maximize our session learning. As the day of our travels began excitement mounted as we boarded the plane heading to Texas for 5 powerful days in San Antonio and soaking up #ISTE17 knowledge. The #WeAreCarroll team was ready, eager and excited to travel together to Texas! We arrived in San Antonio a day ahead of the conference which allowed ample time for unwinding, relaxing and most of colleague bonding through exploration of San Antonio. This proved to be one of the most powerful aspects of our time in Texas as we dined together daily and truly got to know one another much better personally and professionally. There is no basement in the Alamo. Taking an evening stroll along the riverwalk. After a day of collaborating, final plans for session attendance, vendor exploration, poster sessions, etc. were made and we prepared to take on ISTE the next morning. Our first day at ISTE was going to be huge! I was finally going to meet and collaborate some with Angela Maiers. Angela and I ended up connecting after she read my blog post late last summer on kicking off a “You Matter” movement at my previous school. Add into the mix a session with Kids Deserve It! co-author Todd Nesloney along with the great Alan November later on I was so excited about this day. As the team headed in to register, get our bearings and head to our initial sessions my first thoughts were “oh my goodness – this is the biggest conference I’ve ever been to!” People everywhere – this was NCties times 10. Navigating was a challenge – eager to learn educators at every single turn. Unreal. So powerful. As the hours and days wore on we all became more comfortable within the massive conference and were able to break off during the morning – debrief over lunch and then again at dinner daily. Alan November was incredible. The Who Owns the Learning? author gave an on-the-fly presentation on how to push students to go outside their comfort zones, own their own learning and become global thinkers. For me the highlight of #ISTE17 was attending Lord Jim Knight and Angela Maiers’ session on the power of mattering. We’ve been well connected for about a year now and it was great to have a rich conversation after her presentation. She’s an amazing asset to my PLN and I cherish her positivity greatly. She’s added so much value to my career. Very cool to chat with Todd Nesloney prior to his session. His work and vision is incredible. I was so appreciative of his kind words regarding my blog post last month. His TedX is one of my all-time favorites. So genuine. All sessions on day one and with the next few days being spent in a few sessions, poster sessions, Expo hall sessions leading up to our way back to Raleigh on the final day of #ISTE17. Loved the informality of the poster sessions. Great inside information directly from the source — the educators themselves about the why, who, what, when and how! So cool hearing about the transformation and evolution of makerspaces from the guru herself, Laura Fleming. Learning about Future Ready initiatives from Tom Murray. Great to briefly chat with someone I’ve followed on Twitter and admired his work from afar for years. Many takeaways from #ISTE17. My brain is full. My heart is full. The bonding we made as a team was as significant as the days of intense learning and growing were without question. As I’ve had many days to digest all that we soaked in – one thing is certain. We are all much stronger educators today than we were before our visit to San Antonio. 2017-18 is going to be an amazing year at CMMS as we spread our experience and build capacity within our peers. Get ready, buckle up — big things coming! Spending many days in Texas and being a life-long George Strait fan, I’d be remiss not to remind everyone that their truly is a song by the King of Country for every life situation. Even this unreleased San Antonio-themed track from the 90s. My ISTE experience only deepens my love for education, growing as learner and leader while always doing right by kids in every decision and situation. I look forward to returning once again in the near future.